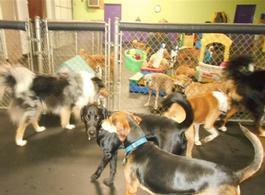 This doggy day care franchise has been established since 2008 and is located in a well-known and convenient area with an established and loyal customer base. It has plenty of indoor and outdoor space for services and play. Everything included with the business. There are 7 PT/FT experienced staff members. This is a business with tremendous growth and return potential. Current owner is retiring and is looking for a passionate, dog loving and business orientated buyer. This business has a growing revenue year on year and very healthy cash flow. The successful revenue model includes: doggy day care, grooming, sleepovers, boutique retail, training, pick up and drop off. All inquiries will remain confidential. Please do not contact location directly. 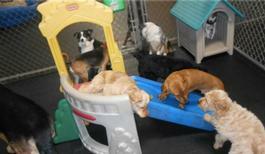 Central Bark Doggy Day Care is an innovative company created specifically for those interested in entering the ground floor of one of the country’s fastest-growing industries: Dog Day Care. 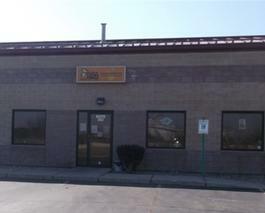 Central Bark® first opened its den in 1997 to support the growing number of people who realize that dogs are not just pets. Our pups are friends, companions and family members. Over the past 15 years, pet industry sales have grown from $23 billion in 1998 to $53.5 billion in 2012 (Ac tual) with expected growth of another $2.5 billion for 2013. The pet industry is on track to continue to grow between 8 and 15 % each year. Central Bark’s focus on socialization, the dog and overall doggy wholeness positions the brand and company more advantageously for the anticipated 39% growth in the doggy wellness and supplement markets. Since the inception of Central Bark® Doggy Day Care, the franchise network has been expanding at a pace that supports day care members, builds the brand and expands Central Bark’s visibility in the marketplace. Central Bark’s growth is strategic, steady and based on the company’s goals of establishing the best doggy day care system nationwide. Central Bark offers its franchise partners a fully-integrated, successful business model in multiple markets nationwide. With full access to a team of experts in dog day care and related industries, veterinarian approved and supported systems, volume purchasing power, and a private-label product line. In addition there is an unparallel level of ongoing support. To find our more about this Central Bark location, Please fill out the form below and submit. Cleveland - Ohio - $599000 SOLD! Kenosha - Wisconsin - $550000 SOLD!